Fans of Hublot will recognise its “The Art of Fusion” tagline, which sees the brand attempt the unconventional. It is famed for combining different materials and mixing various branding concepts. But it is not just a marketing ploy as The Art of Fusion is a driving philosophy that courses through every aspect of the brand, particularly its products. Case in point: the use of carbon fibre in its watches. When Hublot launched the King Power Ayrton Senna in 2010, it became one of the pioneers in the watch industry to employ the hardy and highly resistant man-made material. Weighing half as much as aluminium yet three times stronger, carbon fibre boasts one of the highest weight to strength ratio among materials, which explains its popularity in the motoring, aviation and yachting industries. Its introduction to watchmaking was thus unsurprising as its strong qualities are matched with its interesting basket‑weave aesthetic. 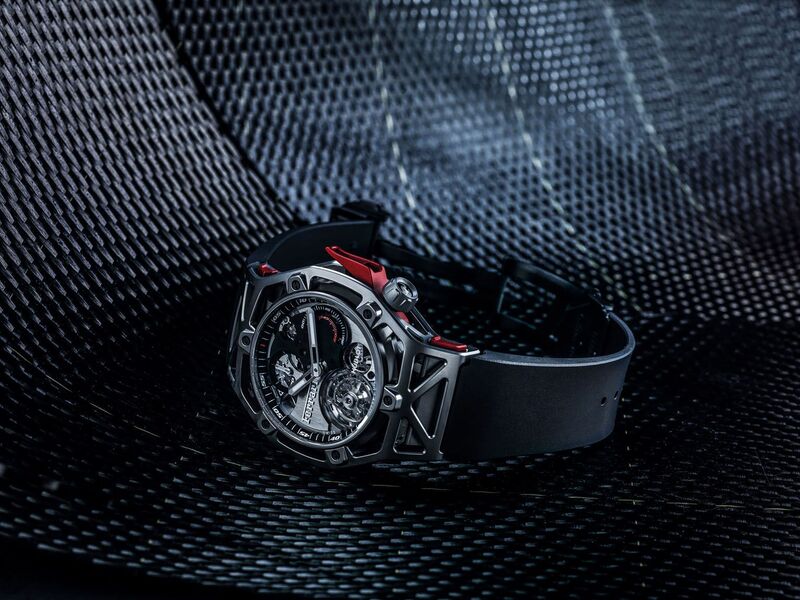 A decade or so later, carbon fibre has become a norm in horology. Technology has, however, advanced tremendously with the advent of a wider variety of stronger and tougher carbon-fibre composites, some of which boast unique properties too. Not one to rest on its laurels, Hublot has ventured into uncharted carbon-fibre territories to experiment and harness the strengths of these new variants. Often, the different carbon-fibre variants that Hublot uses have a common base: multiple layers of braided or unidirectional carbon fibre stacked and compressed to give the component a certain strength and rigidity. The top layer is the aesthetic treatment. The Big Bang Unico Italia Independent Blue, for instance, is finished off with a layer of coloured Texalium fabric, a type of aluminium-coated carbon fibre. Perfectly in line with Hublot’s mantra of being first, unique and different, the carbon fibre‑centric horological creations are innovative and break new grounds, making them popular hits with consumers. Click below to watch a short video about the Hublot “All Black” Big Bang MP-11.